Shreetropin is having the drug ingredient called Somatropin. Shreetropin is a 191-amino acid, single-chain polypeptide that is synthesized, stored, and secreted by somatotropic cells within the lateral wings of the anterior pituitary gland. Shreetropin raises the concentration of glucose and free fatty acids and is used as a medicine to treat children's growth disorders and adult growth hormone deficiency. 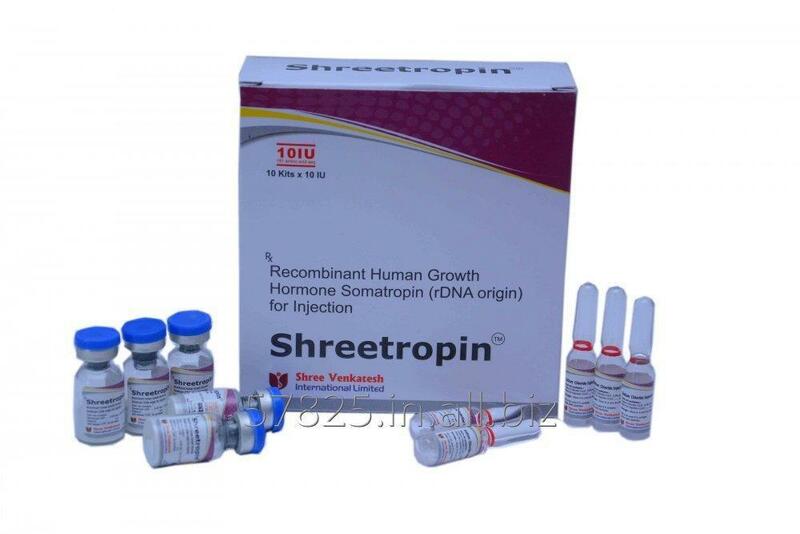 Shreetropin is a peptide hormone that stimulates growth, cell reproduction and regeneration in humans. Unbelievable price on Hygetropin in Surat (India) company Shree Venkatesh International Limited.